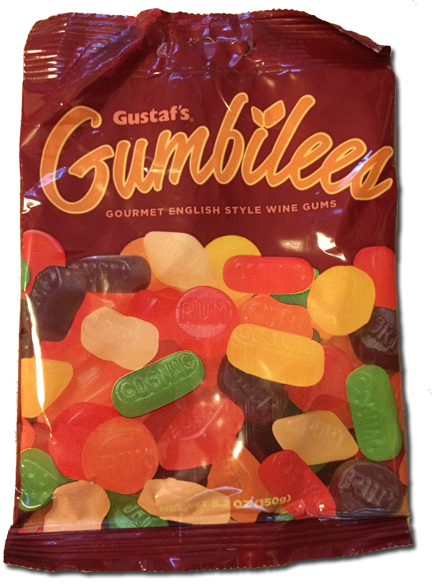 So if you didn’t read previous reviews of Wine Gums or you are are hiding in a tree somewhere, then you may not know there is no actual wine in wine gums. Instead, these “were a temperance minister’s creation” (as the Gumbilee’s package says) to get people to stop getting drunk. Well I have no idea if less people were drinking because of these, but this version by Holland company Gustaf’s are damn good. I assumed going in we’d get the default wine gum flavors: blackcurrant, lime, lemon, orange, and some kind of red berry something. And it’s close to those – you get raspberry, orange, lemon and black currant. But then Gustaf’s (the creators) throws a curve ball (or whatever the cricket equivalent is) and you get apple and even peach. Crazy talk. The size of these things is something to note too. 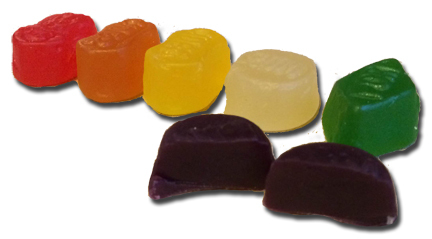 Most gummies are a single bite. These are easily 2 bites. Not necessary of course, you can go whole hog with one morsel, but since you only get about 15 or 20 in the bag, bite in half to make them last longer. The consistency of the Gumbilee’s is solid. And by solid I mean literally thick and dense – but once they get going in your mouth, they become chewy. They break down pretty quickly too. They aren’t like Haribo bears, for example, that are generally a tough chew that don’t breakdown. These are more like a gummy that turns into a gelly. I did a quick lil’ google on these puppies and found them all over – from Sears to Cost Plus and ebay. But I think the Amazon link below has the best price right now. If wine gums are your thing, and you like Rowntree’s by default (and you should), then give these a try. These don’t have the same chew-to-breakdown ratio, but they have the flavors and the size. I just tried these for the first time-they’re great. Great flavor. where I can buy these on line?